This morning, 16 April 2013, the Court of Justice dismissed the actions brought by Spain and Italy against the Council Decision of 10 March 2011 authorizing enhanced cooperation in the area of the creation of unitary patent protection, rejecting all the appellants' pleas. The Court has followed Advocate General Bot's opinion to the letter four months after delivery. 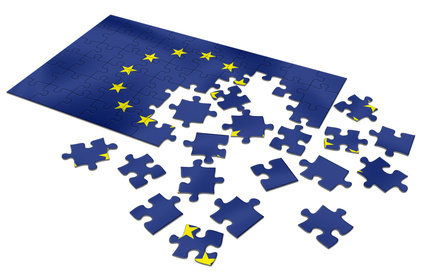 The Decision of 10 March 2011 paved the way for adoption of Regulation (EU) No. 1257/2012 of the European Parliament and of the Council of 17 December 2012 implementing enhanced cooperation in the area of the creation of unitary patent protection and of Council Regulation (EU) No. 1260/2012 of 17 December 2012 implementing enhanced cooperation in the area of the creation of unitary patent protection with regard to the applicable translation arrangements. At the end of March of this year Spain launched challenges to both Regulations (Cases C-146/13 and C-147/13), so the final decision in this now long, drawn out chapter will have to wait until early 2015.
a) is the Court's first interpretation of the "enhanced cooperation" provided for under Article 20 of the Treaty on European Union and Articles 326 to 334 of the Treaty on the Functioning of the European Union, tying it in not so much with integration as with surmounting the requirement of unanimity. b) provides that creating European intellectual and industrial property rights falls within the framework of the internal market rather than coming under competition rules. c) holds that "falling within non-exclusive competences" is a necessary and sufficient condition for enhanced cooperation. d) accords the Council broad discretion in deciding when an issue is a "last resort" within the meaning of Article 20 of the Treaty on European Union. e) reiterates that acts by the institutions are only misuse of power where there is objective, relevant, and consistent evidence that they have been taken solely, or at the very least chiefly, for ends other than those for which the power in question was conferred or with the aim of evading a procedure specifically prescribed by the Treaties for dealing with the circumstances of the case. f) anticipating a very interesting point bearing on the actions that have recently been filed, considers that application of Article 118 of the Treaty on Functioning of the European Union probably clashes with that of Article 142 the Convention on the Grant of European Patents to the extent that the focus of the former is the European Union and that of the latter the Member States. g) endorses an "incremental" model of integration, with partial integration being better than none at all. h) posits that enhanced cooperation being possible in this context, creation of European intellectual and industrial property rights that do not encompass the entire territory of the Union, instead taking in only a certain number of Member States while leaving others out, should also be possible and that this is neither detrimental to the internal market nor a distortion of competition. i) concludes that the competences, rights, and obligations of Spain and Italy have not been infringed in the course of this process.